We all know that Indian Cinema is one of the biggest things in the world. It feeds millions of people and have billions of fans. But, very few of us know what the stars have achieved or how they have achieved the name in this Cinema world. Here we have listed few of the great achievements by the people of Indian Cinema that will give you some new knowledge about the industry. 1. Anil Kapoor’s family lived in Raj Kapoor’s garage when they moved to Mumbai. Later, they shifted to a room in one of Mumbai’s middle-class suburbs. 2. A 50 ft (15.24 m) high cut-out of Dr Vishnuvardhan, a Kannada film actor, adorned with 113 garlands outside Triveni theatre, Bangalore marked the re-release of the Kannada movie Khaidi (1984) on April 11, 2014. 3. Raj Kapoor’s ‘Mera Naam Joker’ was the first Hindi movie to have not one but two intervals! 4. Costume design for most films in shortest span, Sameera Saneesh is a costume designer working in the Malayalam film industry. She made her debut with The White Elephant directed by Aijaz Khan in 2008. 5. Actor Amjad Khan was almost dropped from the film ‘Sholay’ (1975) because scriptwriter Javed Akhtar found his voice too weak for Gabbar Singh’s role. Danny Denzongpa was approached for that role initially which finally went to Amjad Khan. 6. Shekhar Kapur was originally engaged to be married to Shabana Azmi but it didn’t work out. 7. First film to show real child birth scenes, The delivery of actress Shwetha Menon was captured on camera in a Mumbai hospital in September 2012 and segments of it were shown in the Malayalam film Kalimannu. 8. ‘Mughal-e-Azam’ was a trilingual movie – with all scenes shot thrice in Hindi, Tamil & English. When the Tamil one flopped miserably, the English language one was aborted almost immediately! 9. 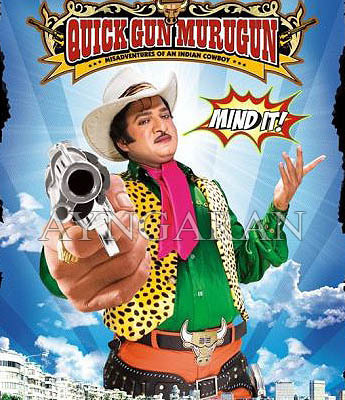 First film made on an Indian TV character, Quickgun Murugun directed by Shashanka Ghosh is a comedy movie revolving around Channel [V]’s cult character Quickgun Murugan, an Indian cowboy, and was released in theaters on August 28, 2009. 10. Devika Rani was the first actress with a degree in film-making. 11. The song ‘Ab Tumhare Hawale Watan Saathiyon’ in the film by the same name is the longest Hindi film song. The length of this iconic song is 20 minutes and the song is featured in 3 installments in the film. 13. Our Mr. Perfectionist, Aamir Khan comes from the pedigree of a very famous revolutionary & eminent writer, none other than, Maulana Abul Kalam Azaad. 14. Bollywood actress Kalki Koechlin’s great-grandfather Maurice Koechlin, was the Chief engineer for the construction of the Eiffel Tower in Paris, and also the iconic Statue of Liberty. 15. Hrithik’s actual surname is Nagrath & not Roshan! 16. Ashok Kumar was a lab assistant in Bombay Talkies before he became an actor in 1936. 17. Ranveer Singh, original name, Ranveer Singh Bhavnani is actually Sonam Kapoor’s cousin! 18. Mera Naam Joker & LOC: Kargil both with a run time of 255 minutes are the longest films ever made in India. 19. 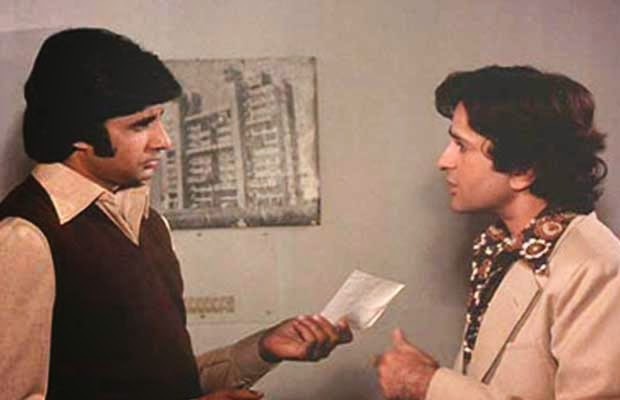 ‘Silsila’ (1981) is the only movie in which Shashi Kapoor played an elder brother to Amitabh Bachchan. In all other movies like Deewar, Suhaag, Do Aur Do Paanch and Namak Halaal, Amitabh played the elder sibling.